The MTA plans to propose an 8 percent toll hike -- double the usual percentage increase -- along with a 4 percent hike for commuter rail and express buses while keeping subway base fare the same and eliminating the MetroCard bonus, sources familiar with the plans tell News 4. The agency plans to present its proposals at a board meeting Thursday. According to the sources, the 8 percent toll hike is double the typical increase to funnel some more money into the capital plan. One source described that plan as the MTA's "own version of congestion pricing." If the board does not approve that, there's an option for a 4 percent hike instead, the sources say. In another effort to save money, the cash-strapped agency wants to delay the planned launch of Select Bus Service on 96th Street in Manhattan by a year. Ok they want more money like usual. But where is the money going? All these fare hikes and it is beyond obvious the MTA has no idea how to spend it correctly. Honestly unless I see an improvement of service headways and station rehabilitations then soon I will be one of those people who won't even bother with this system anymore. Represented titles got 2.5% annual raises plus free commuter rail passes. No, it won't end, because the State Legislature passed a "bailout" law in 2010 that requires fare and toll increases every two years in perpetuity. Of course, those same legislators also get to complain about the fare and toll increases that they imposed, so it works out well for them. Reduce Passenger Environment Survey data collection and eliminate bus schedule information that is periodically replaced in bus stop signage stands. Alternatively bus schedules are available on Bus Time. These savings can be achieved by updating survey metrics and redeploying remaining staff. Reduce Traffic Checking Operations through staffing and overtime reductions. Background Details: Department of Security is streamlining SBS fare evasion staffing by changing its eagle team staffing assignment from dedicated teams for each SBS route to a borough based geographic coverage deployment plan. Each team consists of 7 positions - 6 Special Inspectors + 1 Supervisor. Special Inspectors + 1 Supervisor. Program Description/ Eliminate 3 eagle teams. Background Details: The SBS budget assumes 2 new routes per year. Following implementation of the B82, defer new routes to 2021. Program Description/ Defer new SBS routes until 2021. On average, the mobile sales unit conducts approximately 190 site visits per month, with limited additional revenue generated. Total site visits will be reduced to approximately 95 per month. Program Description/ Reduce mobile sales van visits by 50%. Background Details: Since 1995 NYCT has reimbursed the NYPD $4.0M annually for extra fare abuse patrols in the subway. Funding was reduced to $3.6M due to budget constraints after the 2008 recession, though restored to $4.0M in 2010. Program Description/ The relatively small number of patrols funded by the $4.0M and a decline in TOS (theft-of-Implementation Plan: service) arrests and summons (due in part to recent public concerns on the equity of the program) suggests that the program may not be as effective in reducing TOS. 2 Train Service Supervisor (TSS) positions to monitor an increased population of probationary conductors are no longer required, and efficiencies identified in the Tower Operator pick will result in a reduction of Tower Operators in 2018 and 2019. Program Description/ Eliminate 2 TSS positions for probationary conductors, because this one-year period hasImplementation Plan: completed. Tower Operator pick efficiency will save 3 positions starting July, 2018 and an additional 3 positions starting January, 2019.  Express Bus Service – Ridership based weekday and weekend service adjustment resulting in savings of $10.0 million in 2019, $21.0 million in 2020 and 2021 and $21.1 million in 2022. Well, I guess that means goodbye to printed schedules (both Guide-a-Ride and regular leaflets) for MTA bus services, unless they do print-on-request. Then again, there's really little need for them outside of late night hours, express routes, and some outer borough local service. Wouldn't be surprised if they begin charging a dollar or so for hard copies of bus and subway maps. What I would like to see, however, is a third-party organization take up the challenge of creating some sort of "late-night transit guidebook" with full subway/bus maps and timetables for the five boroughs. I'd pay money for that! @Via Garibaldi 8 You might want to press the MTA about this. Completely unacceptable. When NYC DOT increased Staten Island Ferry service from 1 trip to 2 trips per hour during overnight hours, NYCT increased bus service to meet the ferry schedule; however ridership has been very low on that service. This proposal reverts bus service back to one per hour. Program Description/ Modifying frequency of service to meet every other SI Ferry will reduce Bus Operator requirements. Personal Note: Should any bus route from the St. George ferry terminal have more than 10 passengers/hour clockface, NYCT has absolutely no right to reduce service on these routes whatsoever! Maybe, at these times, for trips to the ferry terminal, depending on the route. (Actually, the Loading Guideline calls for 1 trip/hour at the Maximum Load Point if there are passengers for a particular bus route that has 5-10 pax/hour. For more than 10 pax/hour but less than 20 pax/hour, 1.5 trips/hour is required. This frequency would work for Staten Islanders if and only if the ferry operated every 40 minutes overnight. For those bus routes that have at least 20 pax/hour overnight, use the Evening Guideline. If it’s $10 million in 2019, that sounds like a reduction in trips here and there. I need to find out the particulars before I screaming and yelling. Or sell advertising space on the timetables and Guide-A-Rides. I’ve been watching the latest board meeting. I have to say that it’s appalling having these proposals come up now where the board is expected to vote next month. They also don’t know how much monies is lost from ridership and if ridership is truly declining or if it’s artificially created via fare evasion. Although the no coin paying on the Express bus might speed up the boarding process, the rate of fare evasion might increase because areas with express buses typically aren't near subway stations where you can by a MetroCard. Also, what's the difference between the "Base Fare" and the "MetroCard Fare"? Does it have to do with the bonuses? We support no coins, but only AFTER the new system comes out. It will make it more difficult for the occasional riders and those who don't refill in Manhattan to pay to have this without the new system. Just this morning, there was a guy that got on my bus and paid in coins and the rest with a Metrocard. Even I have had to pay in coins over the years. If all of the stores near you don't have Metrocards, you are stuck paying with coins. I did this several times on Staten Island, and mind you, I also paid for car service to get to a store where I could get change before heading to the express bus, so you're wasting time and money trying to pay. Now it may even be worse for me because there's only one store in my entire neighborhood that sells Metrocards. They only take cash so I have to go to the bank, get cash out, then make my way over there and I don't do that unless I know that they have Metrocards (I call in advance). They are usually out of everything. It's just too much aggravation especially when you need to be somewhere quickly. Ideally I try to refill in Manhattan, but things happen. There's also the issue of actually having access to a subway station, but having all of the machines not work. That's another issue that happens in my neighborhood and in Manhattan as well, especially on weekends since they don't seem to service the machines, so I've taken to trying to ensure that I refill during the week. The station and 238th and Broadway I believe only has one MVM and if it is out you're stuck walking to another station. 242nd has two MVMs and a credit card machine, but often times two out of the three machines are out because that's the only subway station close enough for several neighborhoods AND Westchester where one can get a Metrocard. It's really ridiculous. They also don't keep the machines up. I've seen the same MVMs out for several days at a time. Well, that station at 242 also has an agent who can sell you a Metrocard. 238 also usually does, though it's temporarily closed southbound. Yes, but they can't give you receipts which I need for tax purposes. 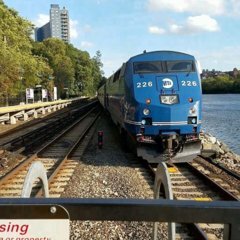 BxM4 weekend service gone - there were whispers about this years ago that they would add a few trips during the week to try to make it more attractive and if ridership didn't grow they would start cutting it. 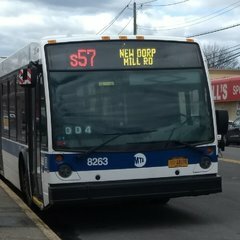 QM4 weekend service gone - I talked with some B/Os about this line over the weekend during several QM4 rides and unfortunately the route is not seeing the ridership from what I've seen. We've proposed making some changes to try to extend it over to Fresh Meadows via Horace Harding Expressway, but that still would likely not be enough. At this point I just don't know enough to say but it isn't good, but we have discussed these cuts and these are some of the theories we have based on prior experience. Our position is try to get specifics to see what can be done, but unfortunately the board will be taking this up for a vote in a matter of weeks! Thanks as always for following these developments. I write this from the 8:10 QM5 which, as usual, is nearly SRO (I count four empty seats total) and no wifi. Really lovely. Wow, talk about a lack of transparency. I thought the cuts were for both NYCT and MTA Bus per year. Looks like it's worse. Don't know if weekend service on the QM2 will go (because it does decent, a little more than the QM6), but I could see weekday midday service being trimmed (because ridership has gone down noticeably). The worse part is that the savings increase per year, over a period of three years. Like you mentioned, we don't know what's in store, but I'm pretty sure they'll look into cutting whatever they can. I don't even think the workhorses are safe either (just by looking at those numbers) except for maybe Staten Island (for now). Yeah I have no idea when Wi-Fi will be fixed, but I have several people that complain about it daily, and now a few elected officials are in my group so perhaps someone will inquire with the sooner rather than later. I’ve been reaching out to elected officials on social media and most have been pretty receptive. Anywho riders like their Wi-Fi so I expect it to be addressed once the vendor starts working on the situation. I suspect they just haven’t been up keeping it. While service was a bit better today (my contact read my comments as promised) there were still some missing trips. Next time we chat I’ll inquire about the particulars. It’s a work in progress, but I could tell changes were made from the trips I took. It is for both, hence my comments about NYCT and Bus. I listened to most of the meeting very late last night since I couldn’t sleep once I got in for whatever reason (happens when I stay up past a certain time), but I closed my eyes here and there with the iPad playing, but yeah, I reached out to one of my contacts. There is no way in hell that the board members don’t know the particulars regarding what will be cut, and I’m sure all of my contacts would be privy to this given their positions. I think the CFO who presented the proposal is keeping that part under tight wraps. With no particulars it makes it hard for the public to become too pissed, and with 600+ pages of material to review, most people would be far too timid to go through it. We sifted through the fluff parts and got to the meat. To me what’s most troubling about this is the local economy is booming and people have money to spend, which means that there is money for discretionary trips, which should bode well for the agency. The fact that trips are down in such an economy shows how severe the problem is and I believe the knows this as well. The more you cut, the more people flee the system, and it’s a vicious cycle because you need some revenue from riders. I can also see BM4 and BM5 off-peak service gone (Maybe the QM15 might be combined with the BM5, with the BM5 being cut entirely). The BXM11 might also be at risk if the uses the subway as an excuse to cut it. The QM3 and QM18 might be cut entirely. The QM21 might also be cut, saying that 90-95% of the route is along the X63. The might also try to combine the BXM7 and BXM8 off-peak.